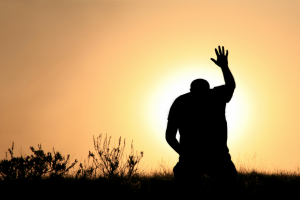 Home Praying Praying – Is There More Than One Way To Pray? When it comes to saying a prayer, is there a right and a wrong way to do it? Should you use particular wording, or should it be of a certain length, and are there things you should be asking for? While the answer to these both is No, that does not mean there is only one type of prayer. Prayer is speaking or communicating with God, and each person will do this in their own way, and sometimes without even consciously accepting they are doing it. There is said to be five different types of prayer, but all of them cover asking for help and guidance in their own special way. Whether you are praying for yourself or others, and event or outcome, guidance is often requested. Two of the five types of prayer are Praise and Thanks. In Praise, God’s glory is acknowledged and celebrated, and this can be done through simple words or through song and dance. When giving Thanks, this is done through a prayer to God in thankfulness of a blessing bestowed, something given or received or just to acknowledge this simple fact of waking up each morning. The other three types are prayer fall in line with asking for something. Blessing asked for protection; of a person, a place or on an object or an activity. A petition is asking for something for oneself, and Intercession is asking for another person. The Catholic church recognises only four types of prayer. Adoration – the same as Praise, and the celebration of God. Contrition, in which forgiveness may be asked for, and Petition and Thankfulness. They do not note anything similar to Intercession but do often ask during services for group prayers if there are members in need.